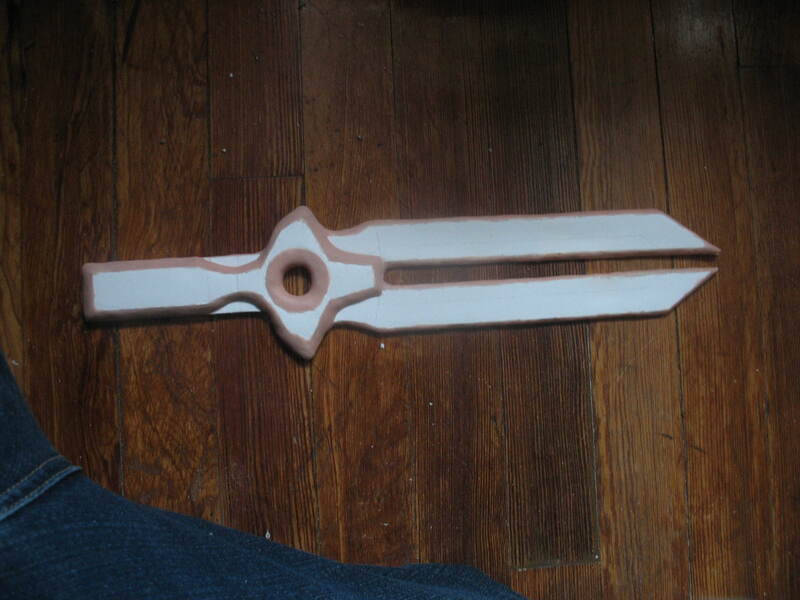 It probably seems like I forgot about this prop, but I haven't. Actually, it turned into a complete nightmare. 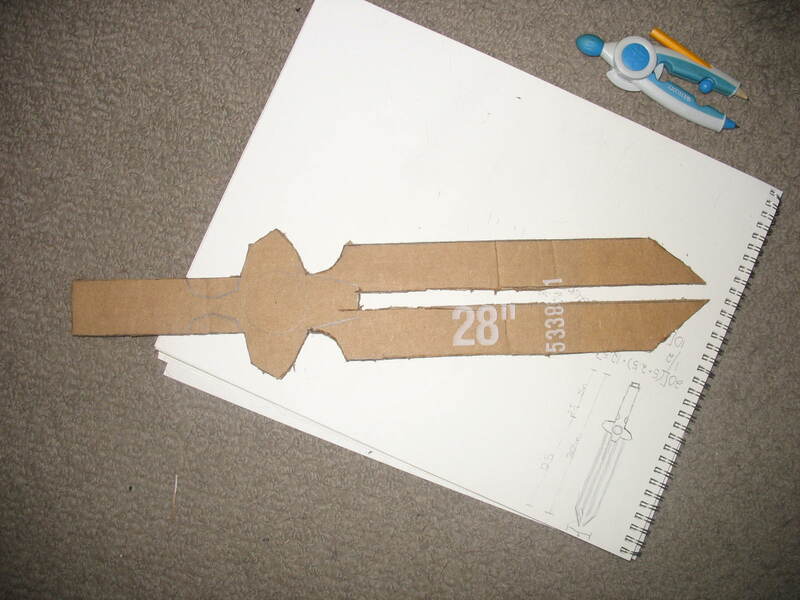 First, if you remember, I laid out the pattern on cardboard. Then, I cut it out. 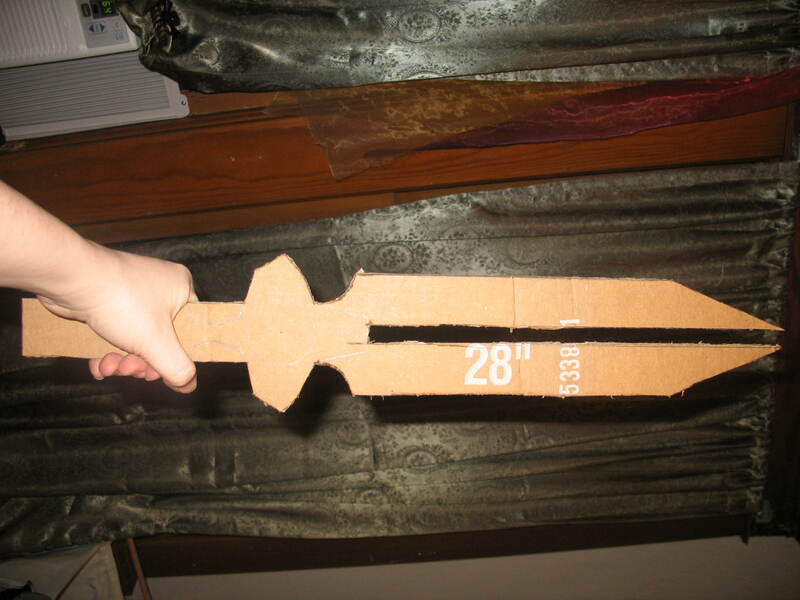 Either I need a new knife or this particular cardboard was crap - it was so hard to cut evenly. But, it gave me and my client a perspective on the 3D design of it. After some consultation on the length and width and such, we cropped it down to this. 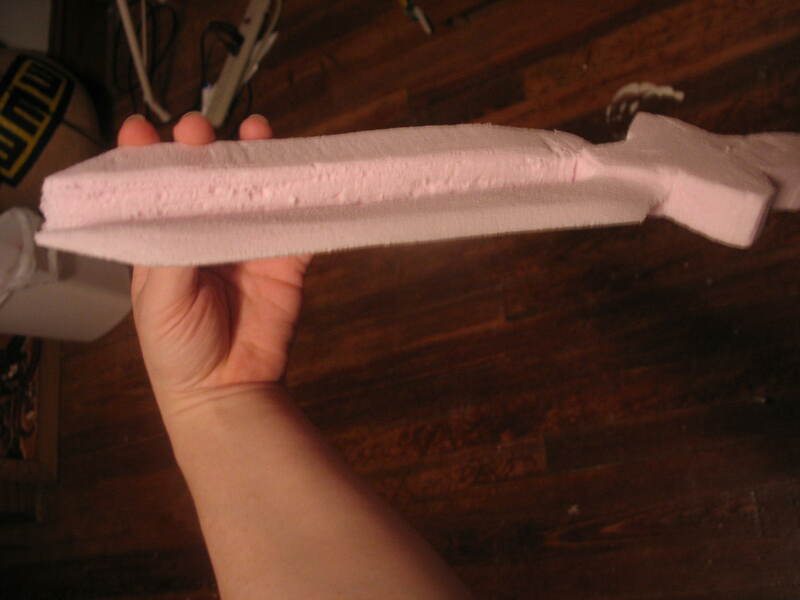 So my original plan was to make it out of foam, sand it, then put a layer of clear resin over the foam to be able to make it into a mold for, well, molding. While this started out as a success, and I was very pleased with my brand new jigsaw, there quickly became a problem I had never had before making props - it snapped, clean in half. I think I stared for a solid minute at the broken blade before I sighed and realized this wasn't going to work. 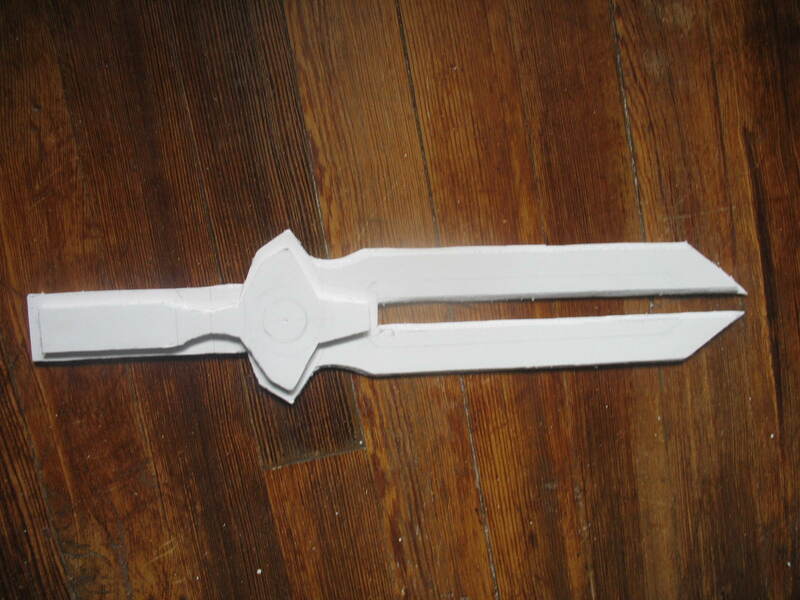 Due to the double-bladed design of the daggers, I couldn't get in along the edges properly without the foam snapping. So, I ended up trying something new. Don't laugh! I used this when I was in college. 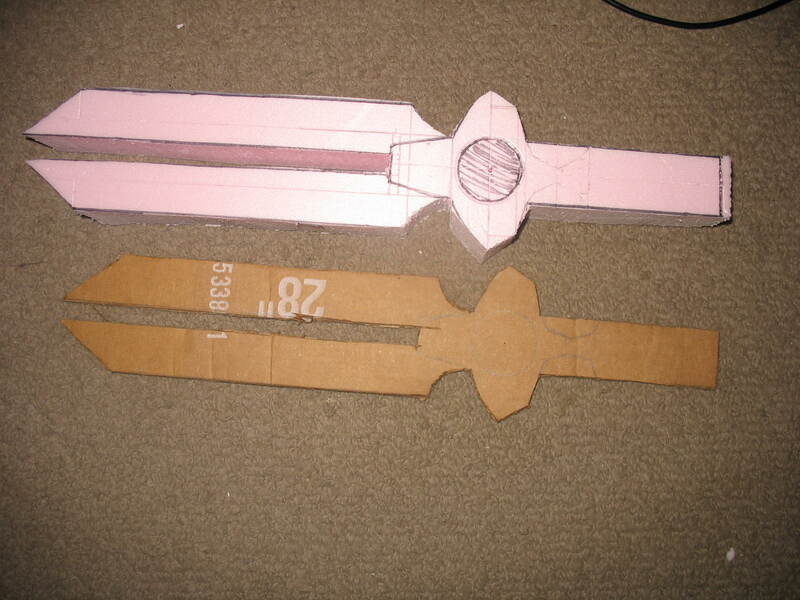 It's called foam board - two layers of thick paper with foam between them. First was the trick of finding this stuff in a new location since I didn't have a huge art supplies store (actually I had two) in Philly. Once I found it - surprisingly on sale which got me a lot for five bucks - I laid out my design on it. Now, building that cardboard cut out before? Came into amazing amounts of help. The foamboard version turned out nicer and was easier to cut. Now there's a trick to it. To use foamboard like this, I had to layer it. You can see it in the picture above. 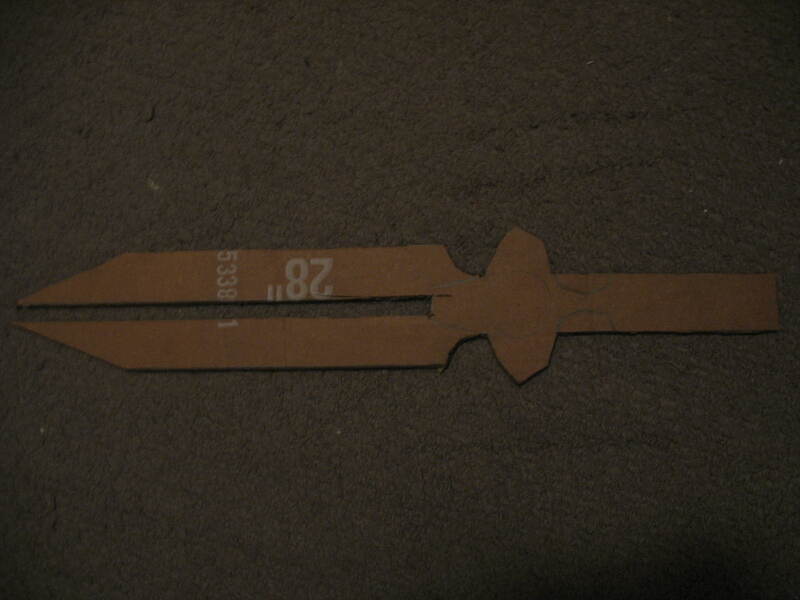 The other problem was that this has very slight angles on the edges for the blade, which is quite thin, so I couldn't build on it. After some pondering, I carefully cut 1/8th of an inch from the edge into the paper and removed the first layer, then sanded the foam beneath to give me a sloped edge! 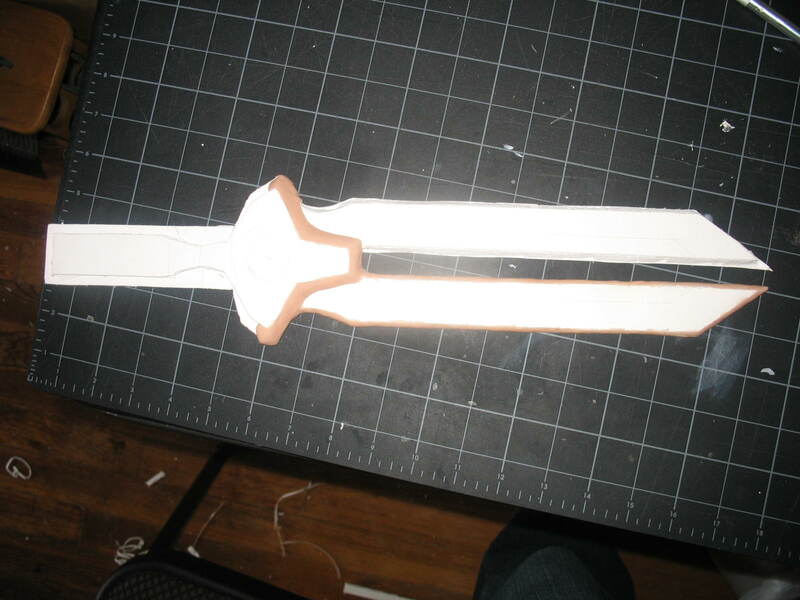 Now, all of this was very rough, not smooth, and clearly doesn't have the beveled edges the dagger should. So, that process began with an old friend of mine - Sculpy Clay!